I didn't know what to expect with Comey's memoir, and I ended up being impressed by his sense of principled leadership and ethical conduct. I don't necessarily see eye-to-eye with him on every issue, but I can appreciate his thought processes as he describes his reasoning behind various difficult decisions. 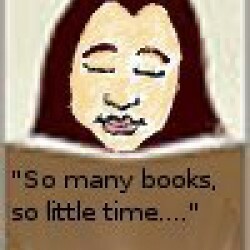 Going back to working in Rudy Giuliani's U.S. Attorney's office in New York City in the 1980s, to being in the Department of Justice under the Bush II administration, to Barack Obama's appointing him as FBI Director, through Donald Trump firing him (via the TV news), Comey takes the reader on a fascinating ride, with a narrative peppered with humor that sometimes made me laugh out loud (while in public, listening to my little mp3 player). 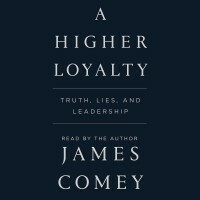 Regardless of what your current opinion of James Comey might be, I think the book is well worth reading/listening to.